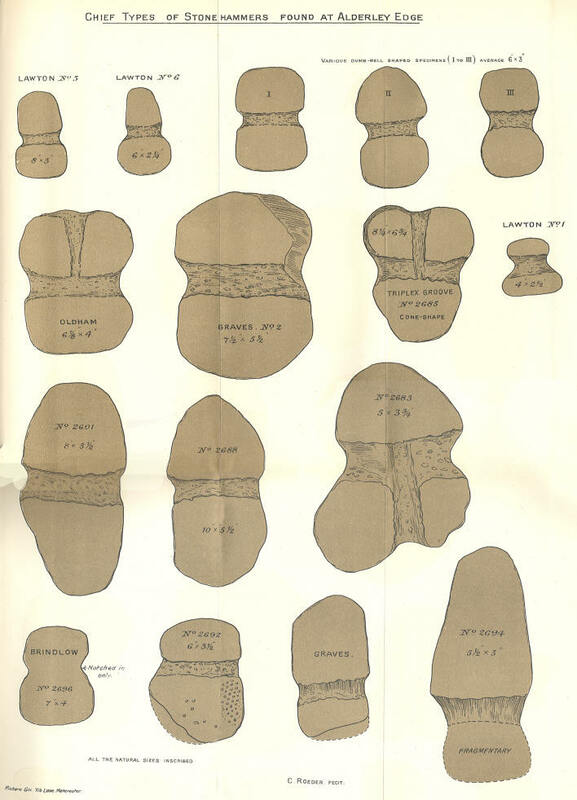 Bronze Age hammerstones. These hammers (illustrated in an article by Charles Roeder) were found in the 19th century but probably date from 2000 to 1500 BC. Many hundreds have been found and have been distributed around various north west museums as well as acting as door-stoppers and ornaments. No definitive catalogue has ever been produced. (Left.) Wooden shovel. 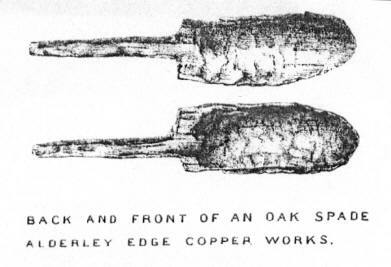 The recent picture of the 'rediscovered' shovel is elsewhere on this site (see history) but the illustration to the left shows a drawing published in an article by Sainter in the 19th century. The similarities between the recent photograph and the 100 year old engraving are obvious.